SEPOY (AUS) (Chestnut 2008-Stud 2012). 10 wins-5 at 2, ATC Golden Slipper S., Gr.1. Sire of 441 rnrs, 231 wnrs, 12 SW, inc. Alizee (ATC Flight S., Gr.1), Unforgetable Filly, Native Soldier, Indian Blessing, Marcel From Madrid, Dabyah, Kilmah, Divine Quality, Sparkle'n'joy, Anjana, Baileys Showgirl, Khukri - Brilliant Debbie (Mac. ), SP Counterplay, Garrard, Han Xin - Sun Marshal (Sing. ), It's a Myth, Chipanda, Fullazaboot - Hello Beauty (H.K. ), etc. Lean Perfection (g. by Sebring). 4 wins at 1000m, 1200m, HK$4,419,000, to 2018-19, HKJC Great Harvest Group H., Heung Yee Kuk Cup, Citi Ultima Card H., Lukfook Jewellery Wedding Collection H., 2d HKJC Amah Rock H., 3d HKJC Ambitious Dragon H.
Dixie Melody - Peace n Prosperity (H.K.) (g. by Valixir). 4 wins at 1200m, A$12,625, HK$3,982,350 in Aust. and HK, HKJC Fung Mo H., Japan Racing Association Trophy H., Hong Kong Exchanges Challenge Cup, 2d HKJC Wong Nai Chung H., Le French May Trophy H., Deep Water Bay H., Hoi Lai H., Dorset H., 3d HKJC Violet Hill H., Poplar H., Johnston H.
Bush Rambler (f. by Star Witness). Placed at 3 in 2018-19 in Aust. KNOYDART (More Than Ready). 5 wins to 1300m, A$742,180, ATC Canterbury Classic, L, MRC (Mornington) Hareeba S., L, ATC Tab.com.au H., TAB Rewards H., Turf Club H., 2d BRC BTC Cup, Gr.1, ATC Hall Mark S., Gr.3-twice, Project Ten H., Jim Beam P., 3d VRC Newmarket H., Gr.1, MRC Oakleigh P., Gr.1, VRC Gilgai S., Gr.2, ATC City Tattersalls 2YO P., 4th BRC Doomben Ten Thousand S., Gr.1, ATC Challenge S., Gr.2, MRC Autumn S., Gr.2, GCTC Victory S., Gr.2-twice. Haverford. 3 wins to 1500m, QTC Analie H., 3d STC Hyland Race Colours H., De Bortoli Wines H.
Commissioner (Stratum). 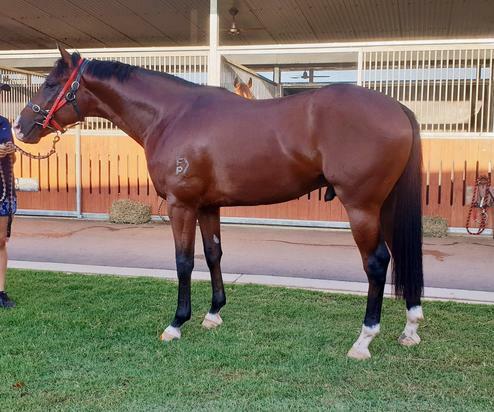 Winner at 1200m in 2018-19, 3d BRC Phelan Ready S., L.
REGAL CHAMBER (Archregent). 2 wins. See above. Splendid Retreat (Splendent). 8 wins-1 at 2-from 1400m to 2000m, A$247,725, AJC Orchard Tavern Welter H., NSW Tatt's RC Pontac Finance Welter H., AJC Honda Legend Welter H., Pretti Real Estate H., William H Ogilvie 2YO H., STC Thrifty Car Rental H., 3d STC Kingston Town S., Gr.3, Canberra Cup, L.
RAIDO (Husson). 7 wins to 1200m, A$302,180, to 2017-18, GCTC Goldmarket H., L, ATC TAB Place Multi H., Schweppes H., BRC Espresso Martini di Bella H., GCTC Free Entry 30 Dec H., 2d GCTC Aquis Farm Pre-Training H.
HIGHLAD (High Chaparral). 8 wins from 1200m to 2200m, NZ$216,875, A$40,800, to 2017-18, Rotorua Cup, Gr.3, Wanganui Guineas, L, Waikato RC Dunstan Feeds Qualifier H., Te Aroha Cup, Hawkes Bay Congratulations HBHS First XV H., Waikato RC Doubler H., 3d VRC UCI S., L, Rotorua Challenge P., L.